The Rohde & Schwarz SDxR family has been implemented with strict separation between the device platform and the software, the waveforms, based on the internationally standardized Software Communications Architecture (SCA). 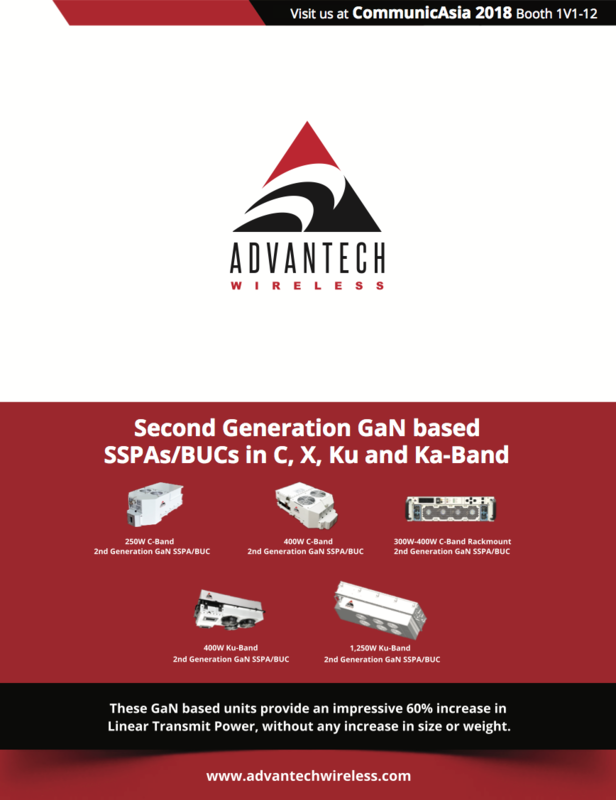 This makes it possible to port SCA-based waveforms from other manufacturers as well as existing waveforms, providing both security for future investments and backward compatibility with existing radio systems. Customers can modify the waveforms as well as the integrated encryption, which enables them to establish interoperable secure communications channels between different branches of the armed forces and various countries. National data is protected, and information in joint or combined deployment is assured. Rohde & Schwarz has developed a family of network capable, high data rate waveforms for a variety of deployment requirements. For every communications scenario, users can select the waveform and encryption that best match their requirements for range, data rate and interference immunity. 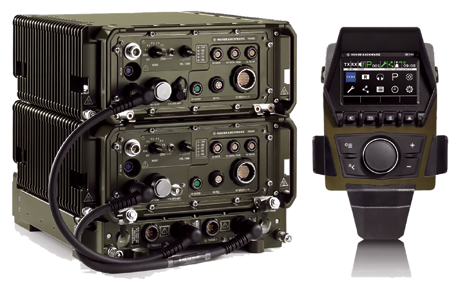 The R&S HDR waveforms and the latest generation of SDR technology are already used in the R&S SDTR for vehicle-based tactical communications and in the R&S SDHR handheld tactical radio. The new R&S SDAR software defined airborne radio enhances the land-based communications system with airborne components. Rohde & Schwarz developed SVFuA, the joint radio system of the German armed forces that is installed in command vehicles as a communications hub. The Rohde & Schwarz system architecture also provides smart routing, end-to-end encryption and system management. Rohde & Schwarz recently presented their product portfolio for secure communications and cybersecurity at the Eurosatory Defense & Security International Exhibition in Paris at the Villepinte Exhibition Center. U.S. Africa Command’s telecommunications requirements were the subject of discussion at the inaugural Africa Telecommunications Symposium, hosted by the Defense Information Systems Agency’s Africa Command (DISA Africa) and the Defense Information Technology Contracting Office — Europe, in Stuttgart, Germany May 7 to 8. Attendees representing DISA, U.S. Africa Command (AFRICOM) and their component organizations met with more than 24 telecommunications service vendors to discuss plans and requirements to foster innovation, build out the theater’s network-based communications infrastructure, and enable assured service delivery in support of the AFRICOM Theater campaign plan. Government representatives and commercial service providers presented information regarding telecommunications processes, capabilities, and services in open forum and during one-on-one engagements. AFRICOM is working toward “setting the theater,” a term for the activities associated with establishing the conditions for executing operations, in Africa. Eubank said although the vast and unique geographical and political landscape of Africa may present a challenge, AFRICOM’s J6 Directorate is determined to ensure telecommunications infrastructure is in place and ready to support any operation. Technology has evolved beyond traditional point-to-point solutions for building networks and AFRICOM wants to pursue new service offerings, specifically software-defined architectures. Benefits of software-defined networks include rapid provisioning, increased control and shaping of network traffic, and new ways to secure communication paths. 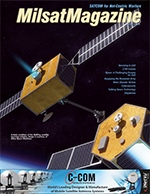 Eubank emphasized the importance of bringing new technologies to the theater by informing participants that two years ago, 90 percent of telecommunications service delivery in theater was via satellite links, noting that the organization should work toward fusing multiple technologies and enabling network-based communications. Telecommunications services are assured worldwide to support the Department of Defense Information Network (DODIN). However, the great distances, austere environments, and evolving requirements in Africa present unique obstacles. AFRICOM seeks to meet concurrent, episodic mission requirements across the continent a priority. The J6 Directorate also faces a significant challenge to support the Command, Control, Communications, Computer and Intelligence (C4I) needs of the warfighter across the continent. Limited infrastructure, combined with immature service provider capabilities, affect AFRICOM‘s ability to rapidly deploy survivable transport capabilities sized to meet the needs of its campaign plan objectives. To address this, AFRICOM intends to work with DISA to leverage emerging technology, innovation, teamwork, and to develop international partnerships to protect critical infrastructure. Cyber Command teamed up with the U.S. Air Force Personnel Center for the command’s first-ever public hiring event May 8 in Silver Spring, Maryland. Co-hosted by Cybercom and AFPC’s Air Force Civilian Service talent acquisitions team, the event featured on-site resume reviews and interviews, with multiple qualified individuals receiving job offers. More than 400 people attended the event, with 500 more candidates registering online, officials said. Cybercom is far from finished with the CES hiring. 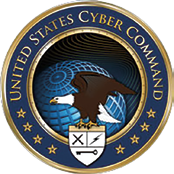 Looking forward, the command will be recruiting at the San Antonio CyberTexas Job Fair on Aug. 14, again on Fort Meade on September 12, and in Baltimore at the Cyber Maryland Job Fair on October 9.